Does early shaming of girls facilitate their later objectification by men? 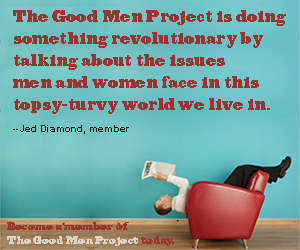 In one of the #StopSexism calls the conversation broke out a number of issues related to the objectification of women. The conversation centered on the recognition of shame being used at earlier ages to wound and objectify young women and children. An example is the obsession with parochial dress codes being applied earlier in schools. These codes affect young girls, conditioning them to be used to the control of patriarchal authority and accepting being shamed in regards to their appearance. This “seed of shame” is then nurtured, until she is overly conscious and concerned with her appearance allowing even the smallest comment to have undue power in her psychology. This shame can be later weaponized by men’s groups such as “pickup artists” who using “negging“ techniques undermine a woman’s self-esteem by plucking on her internalized shame, allowing them to manipulate her into a relationship with the man using these techniques. What makes these techniques even more problematic is their overall effectiveness because of “socialized shaming” so often associated with religious belief systems. There was conversation around trying to counter this problematic shaming and one technique mentioned was the existence of co-ed teams. When the coach of co-ed swim team noticed this shaming didn’t exist, she surmised it may be due to the promotion of equality, camaraderie and teamwork fostered by team sports. Girls were treated with the same care deference and concern as any of the male members potentially disarming the male gaze. We want to hear from you: Young women have been prevented from graduating, attending proms, or getting their diplomas because they wore a dress deemed inappropriate: a spaghetti strap, short sleeve or cut just above the knee all being excuses for denying them access to their high school events. Have any of your children been affected by school dress codes? How did you feel about them? Did you challenge the dress code? What were the results of your challenge? Are the codes applied equally between the boys and the girls? Do you find the codes growing more regressive than when you went to school? Men: Can you think of other ways to lift our daughters up to prevent shaming when they’re in school? Do you have ideas on how to make them more resistant to “socialized shaming techniques” used by pickup artists?